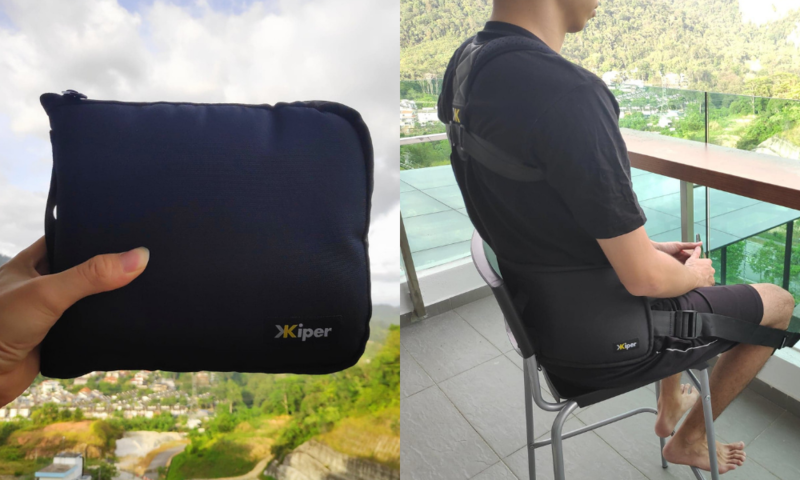 [REVIEW] Does The Kiper Shoulder Corrector & Lower Back Brace Work? Kiper is a brand that focuses on providing pain-free solutions and the means to a better body posture through their products. Working with a popular Malaysian bone setting specialist, Master Chris, Kiper managed to sell a total of 5,000 units in their first two months. Kiper is a company that produces portable and wearable solutions designed to help fix back pain, hunching and posture problems. 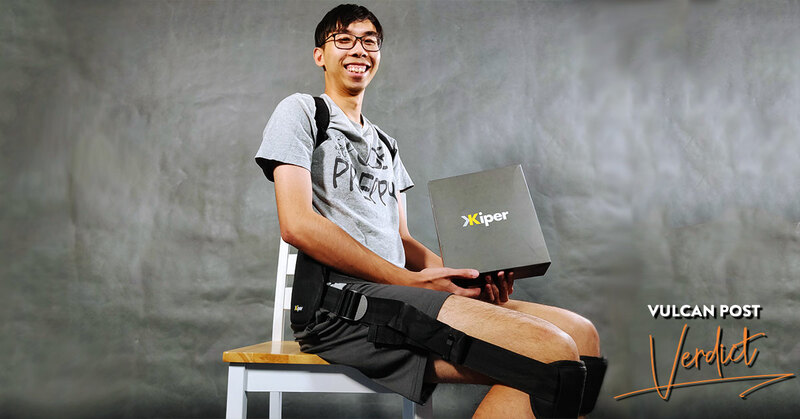 Kiper was founded by Jon Lai who has suffered from backache for many years due to his nature of work dealing with computers on a daily basis. Seeing that the pre-order model was gaining traction in Malaysia with the successful launch of Oxwhite, Jon implemented the same business model for Kiper and sold 1,000 pre-order units in their first 18 hours of launch. With the support of popular bone setting specialist, Master Chris, Kiper has managed to bring in RM500,000 of sales through pre-orders and a total of 5,000 units sold in their first two months of launch. As a previous happy customer of the pre-order model, I had to get my hands on it even though I didn’t really have any back problems. But, I do have a slight hunch as I work on a laptop everyday, just like most of us. Firstly, Kiper has two types of ordering models for customers to choose from: pre-order and express orders. Pre-orders will take up to 45 days and express orders take 5 days, with the latter costing more. However, as of now Kiper is testing their ordering model and only express delivery is available on the website. For this review, the founder contacted me and delivered it in person to let me try it out. Inside the two boxes I received were the Kiper Shoulder Corrector, Lower Back Brace, Treatment Pack and some tutorial cards. The cards inside the box. In the welcome card, customers get to join an exclusive Facebook group called Kiper Pain Free Club. 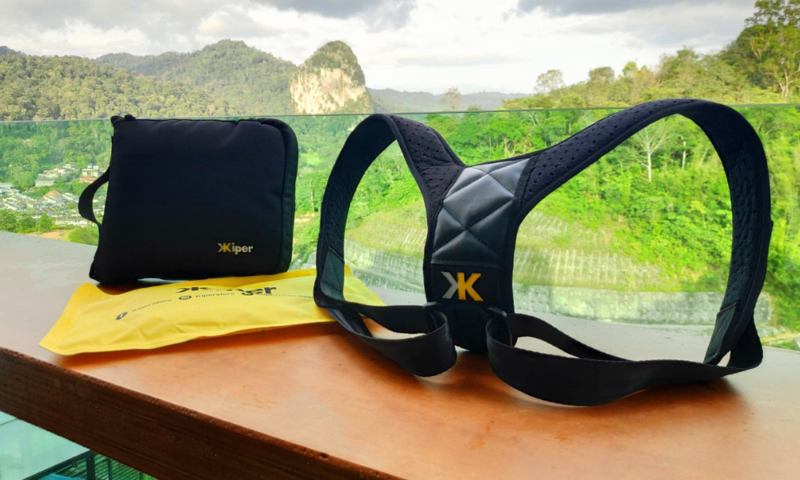 However, do note that the membership is only available to those who purchased Kiper Premium Support which contains both the lower back brace and shoulder corrector. In the Facebook group, members get access to exclusive events such as Kiper Experiential Day and also share tips and receive support from other members of the group. Members also get immediate customer support as any questions asked in the group are answered by the Kiper team. Other than that, the cards also show you how to wear the products; for first timers it can be quite a challenge. Other than that, there’s also a card with a 5-day challenge to help you correct your posture. If you post it in the Facebook group you stand a chance to win a lower back brace. L-R: The lower back brace, treatment pack, and shoulder corrector. The Lower Back Brace has a holder for the treatment pack to be inserted. It is said to help retrain your posture as it uses your knees to pull your back upright. The selling point is that it can be carried anywhere you want as it can zip up into a portable bag, making it super convenient. As for the treatment pack, it can either be heated up or cooled. Heat treatment facilitates muscle relaxation, soothing body stiffness, and relieving soreness and pain, while cold treatment promotes muscle recovery after workouts as well as subsiding pain, swelling and inflammation after a fresh injury. The Kiper Shoulder Corrector in action. First off, I tried the shoulder corrector. Fresh out of the box, it looks quite complex to fix as it wasn’t assembled but after a while of playing with the shoulder corrector, it should look and work like a backpack strap. However, according to their recent Facebook post, Kiper will be sending the assembled shoulder corrector to you in the future, so there’s no need to go through the hassle of setting it up yourselves. It does help to prevent slouching as it’s quite tight, however do make sure that you get the right sizing. My (slightly larger) colleague had trouble putting it on as it was too small. The Kiper Lower Back Brace in action. In another box, I had the Kiper Lower Back Brace and it comes with a holder for the treatment pack. It looks compact in the holder and definitely portable. The whole thing comes out to fit onto your legs and wraps around your knees. If you have trouble wearing it, just follow the cards in the box, and if you need more information Kiper’s Facebook page is full of tutorials. According to the website, in the beginning, you are recommended to wear it for 15 minutes each time, then take a break in between. You can wear it for a few times a day but don’t wear it more than 15 minutes per time during the first week as you might begin to feel uncomfortable. This is to allow your body to slowly adapt to the correct posture over time. After about a week, you can wear it for 30 minutes in order to allow your body to get comfortable with the corrected position. After that, you can wear it whenever you’re sitting. A close up at Kiper Lower Back Brace. Although I don’t have any back problems, I did wear it consistently for two months and I do feel much better when I have both the products on. Especially when I work with the computer on a daily basis, the shoulder corrector does help to prevent me from slouching but if you wear it for too long it can hurt the armpits. As for the lower back brace, it feels like a chair as it pulls your lower back upright all the time. You can even sit on the floor with it and still feel comfortable. I usually put in the treatment pack in a microwave for 1 minute and just insert it into the lower back brace and it will take the experience to a whole new level. Although I had my doubts on whether such a product would work to the point of solving someone’s back pain, I’m quite convinced that it does what it’s supposed to do. I’m not the only one who agrees. By doing a quick search on their Facebook page, you can see plenty of customers recommending Kiper and they even have an average of 4.8/5.0 stars on Facebook. If you don’t have back problems, you could just use it for prevention and practice good posture regularly, like I did. For those who have more formal clothing at work, the shoulder corrector can be worn under jackets or blazers—I even wore it out to dinner (by accident) once. 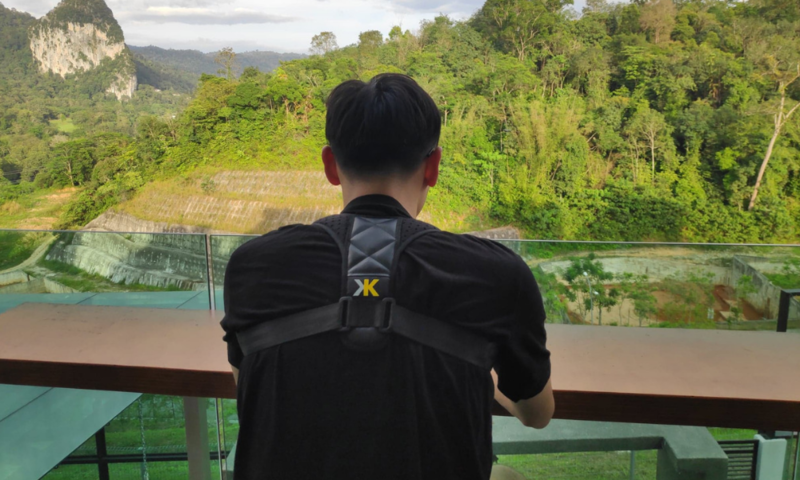 At RM178 for express orders and RM149 for pre-orders for the whole set of Kiper Premium Support, I’d say it’s worth it if you’re looking for a better posture. 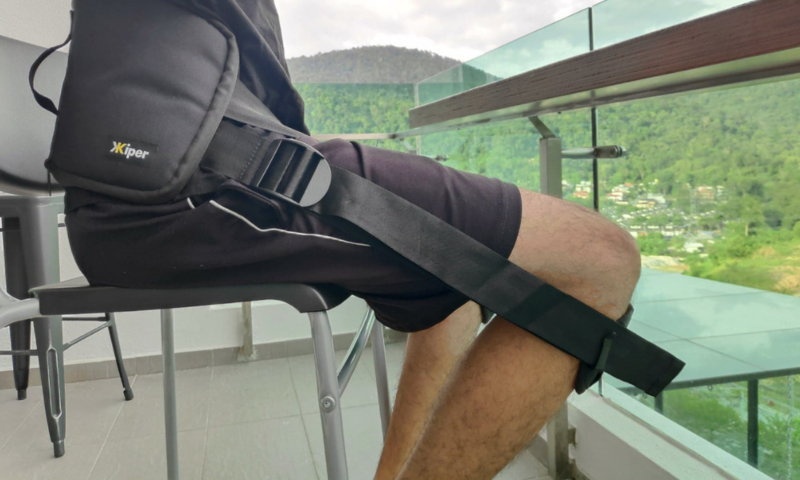 And when it comes to back problems, buying a fancy orthopedic bed or massage chair would be a higher investment, so as a portable solution for back problems, I think this kit could be a starting solution for anyone looking for help. If you would like to find out more about Kiper, you can check out their social media here and website here.